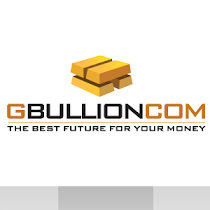 Official GBULLION Blog: Quiet Summer is OVER ... Gold is on a roll again! Quiet Summer is OVER ... Gold is on a roll again! The price of gold has gone up by 7% since the first of August and currently equals to $1,735 per troy ounce. Buy the way, since August the 31st its price has risen by approximately $60 which is 3.7%. It is now widely expected that the US Federal Reserve, the American Central Bank, will soon execute another quantitative easing, which serves as the big reason for the spurt. Gold prices notched six-month highs this week after traders bought the metal on ideas that monetary stimulus is coming from the Fed. In the Kitco News Gold Survey, out of 33 participants, 29 responded this week. Of those 29 participants, 22 see prices up, while four see prices down, and three are neutral or see prices moving sideways. Market participants include bullion dealers, investment banks, futures traders, money managers and technical-chart analysts. Still the price does not seem to fulfill its full potential. Why is it so?! Let's see what the new day is going to bring!